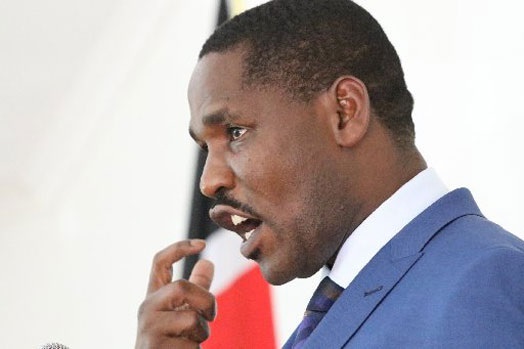 Wednesday March 27, 2019 - Industrialisation Cabinet Secretary, Peter Munya, has finally revealed how he stopped a section of Jubilee leaders from stealing an additional Ksh4 Billion from the scandalous dams’ payout. Appearing before the Directorate of Criminal Investigations (DCI) for grilling, Munya revealed that he resisted intense pressure, especially from Rift Valley leaders, who were not named, to sign documents authorising the payment. He told the DCI that he immediately informed Treasury CS, Henry Rotich, that the dam tenders were not following proper channels and procedures. Munya further advised against the release of more money because the job on the ground did not measure up to the money already released. “We have heard all manner of claims including how Munya was put under pressure by some top Government officials to sign documents and when he refused he was transferred,” said the DCI.